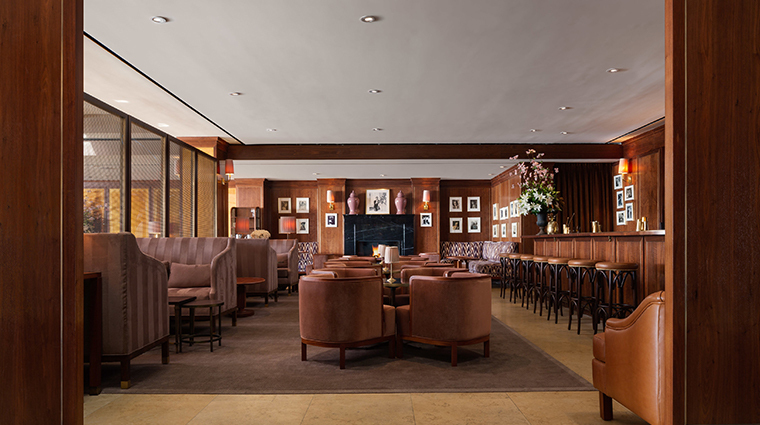 At The Tower Bar, inside the 14-story Sunset Tower Hotel on West Hollywood’s Sunset Strip, a star-studded scene isn’t just an awards season occurrence. As popular now as it was when the art deco building opened its doors in 1931, the venue continues to be one of L.A.’s premier gathering spots for industry movers and shakers. 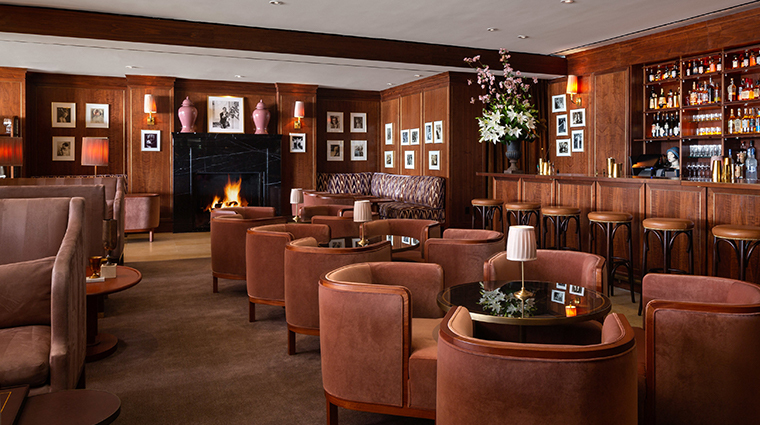 No surprise it’s a favorite among the entertainment elite: with dark rose-colored lighting, crisp white tablecloths, wood paneling decorated in retro celebrity photos and live jazz music floating through the air, The Tower Bar instantly transports you to the golden era of cinema. It’s easy to imagine Ava Gardner or Grace Kelly gliding through the intimate 80-seat dining room on their way to say hello to Frank Sinatra or Clark Gable. Pair the carefully crafted vibe — interiors by renowned decorator Paul Fortune — with maitre d' Dimitri Dimitrov, almost as famous for his strategic seating as the patrons are for their movies, and a menu graced with elegant executions of intercontinental favorites, and it’s a bankable Tinseltown success. The waitstaff — dressed in suits and ties — delivers friendly, yet impeccable service. Much of the menu is a delightful tribute to 1950s supper clubs. Americana-nostalgia-on-a-plate dishes include: turkey chili, chicken pot pie, pigs in a blanket and the ever-popular design-your-own sundae. If you enjoy being part of the action, dining at The Tower Bar is titillating. There’s a constant flow of dazzling people-watching to enjoy, discreetly, of course. In the City of Angels, it’s challenging to find an upscale restaurant with live music nightly. But The Tower Bar offers a talented jazz pianist and bass duo. The weekend brunch on The Tower’s Bar’s terrace is not to be missed. A short but sweet selection of favorites grace the menu while seating under the poolside cabanas helps you relax into a leisurely afternoon. Make sure to reserve a table at least a week in advance, especially if you’d like to dine during peak hours. The “see and be seen” table with incredible sweeping city views is in front of the fireplace. It seats a group of four or more. Crudités and dill dip are served complimentary at the beginning of your meal. But the West Hollywood restaurant does offer a beautiful basket of crusty bread and grissini by request. Because privacy is part of the allure at Sunset Tower’s signature restaurant, no photos or phone calls are allowed. If you try to snap a picture, a member of the waitstaff will respectfully ask you to delete the photos. 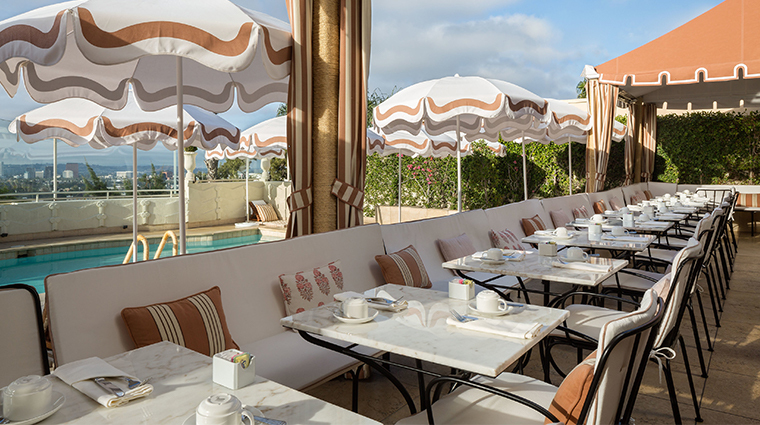 As part of the hotel’s recent renovation, the terrace lounge houses a chic new poolside dining area and an indoor 10-seat bar. There’s no need to stand at the bar inside the Hollywood restaurant while you wait for your table anymore. The menu is an eclectic mix of classics. For an old-school favorite, try the fried chicken and iceberg wedge salad. For more modern dishes, sample the sliders, roasted Brussels sprouts or lobster tacos. Dishes highlight in-season local ingredients and are executed flawlessly, both in taste and presentation. Whether you’re in the mood for an impressive seafood tower and caviar service or just a tomato and mozzarella pizza and the classic Tower burger, the varied menu allows you to be as formal (or casual) as you choose without sacrificing flavor. The cocktail menu features mostly refreshing drinks made with top-shelf spirits. The offerings range from classics like the Moscow mule to original creations, such as the vodka- and gin-based Dimitri — a tribute to The Tower’s celebrity maitre d’ Dimitri Dimitrov. Especially in the summertime around the pool, the most-requested drink is the Tower Smash, a refreshing sip made of tequila, basil, lemon and fresh ginger. A tribute to French, Italian and California vintners, the wine menu offers a healthy selection of pours by the glass and bottles. Most bottles are moderately priced, with a sprinkle of impressive premium selections, such as the 2009 Louis Roederer Cristal Champagne for those extra-special celebrations.